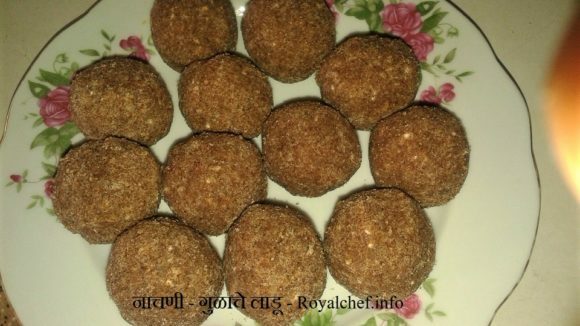 This is a Recipe for making at home the famous and popular Bhavnagari Sev-Gathiya. This is a crisp and crunchy Sev, which can make your Diwali Faral Plate appear attractive and decorative. Take 1 ½ Cup Water and 1 ½ cup Oil and mix it well. After that add Black Pepper and Parsley powder and again mix it well. Heat a Kadhai and roast the Papadkhar and Salt slightly. Then add it in to the mixture. Then add Besan and mix it well to prepare a dough. Heat the Oil in a Kadhai and prepare the Gathi using a Sev Maker. When it cools, fill it in a plastic bag and tie it tightly.